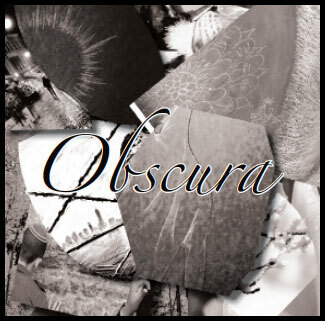 One of the few literary magazines in the country to come out of a community college, Obscura is an annual literary and art magazine that features the creative work of RRCC students. The Obscura staff is made up entirely of students who take the Literary Magazine course (ENG231), offered every Spring Semester. Students in the class work as a team to select the best poetry, short fiction, creative nonfiction, and art from over a hundred student submissions each year. The 14th Edition (Spring 2017) of Obscura is now available! 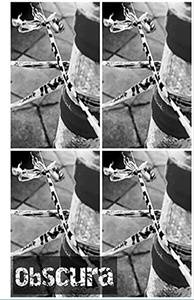 View or download it here. How does someone get published? Currently enrolled students at Red Rocks Community College can submit prose, poetry, or art for a chance to be selected for publication. Please read the submission criteria below. All prose entries must be no more than 5,000 words long and must be submitted as a Microsoft Word file (.doc or .docx). Documents should be formatted with 12 point, Times New Roman font, and should be single spaced and justified. All poetry entries must be no more than two pages long and must be submitted as a Microsoft Word file (.doc or .docx). Documents should be formatted with 12 point, Times New Roman font, and should be single spaced. All art must be submitted without a watermark, as an Adobe Acrobat file (.pdf) and if possible, must be no bigger than 5"x7". Only three submissions per student per submission year. Want to see some of our past published authors and artists? Check out the links to Obscura's archived editions to the left or you could check out Obscura's YouTube channel.